Welcome back to the travel blogging. Our amazing, 12 month, around the world journey had so far taken us to the far side of the world, the jungles of South East Asia and now was to come our most incredible experience yet. Now we had arrived in India. Over the next few weeks, I will be presenting a number of article on the subject of our travels in this most exotic of countries. We explored almost every inch of it, from the cities, beaches, mountains, deserts, jungles and wet lands. Along the way we took in some of the most holy sights in the entire world, including Elora, The great Taj Mahal, Varanasi, Sarnath, the Bodhi Tree and even stood in the presence of the remains of the Great Lord Buddha himself. It was 3 months to remember. Standing on Indian soil with the heat close and crowds closer navigating the downtown streets of Mumbai, I knew there was one person to whom our respects should be paid. Gandhi. Gandhi to me was such an amazing person and so famous throughout the world that it is difficult to believe that he lived on earth at all, let alone someone who lived in the house in which I stood today. 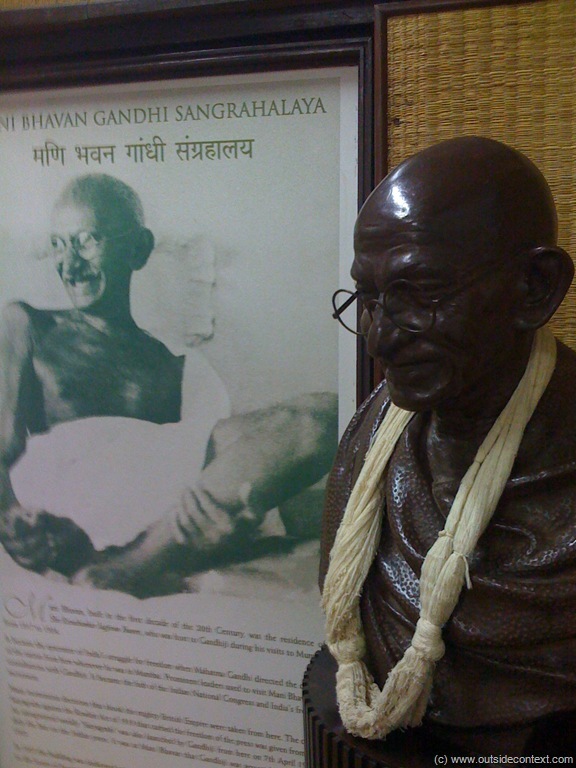 So, it was with a sense of special pilgrimage that we made our way to Mani Bhavan the house where Gandhi spent much time having returned from prison in South Africa. As the midday sun passed by we lunched before heading across town. Our plan was simple, catch a taxi over there before walking to Chapatti Beach to watch the sunset. J took the lead and approached the rank and lent in through the first taxi window. Lonely Planet in hand with map at the ready he requested the ride and for it to be metered. “300 Rs” was the reply, we laughed at the blatant attempt to over charge as only experience can teach you, and moved swiftly on. Attempt no 2. Hoping to get this sewn up first time I took the gauntlet and stepped out. Clearly not understanding me the driver waved me towards another taxi. I went to great lengths to name, locate and describe our desired destination with the expectation that this most famous and wonderful of Indian people would be at the forefront of their hearts. Again a blank expression. A small but growing crowd were magnetised towards the apparent only tourists in Mumbai, all trying to understand. No matter who we showed the map too or said “Mahatma Gandhi Museum” they did not know to our surprise. We thought to abort the mission, but this we just too important to us. So, we continued. We crossed the busy central junction and tried again. Despite every effort and information, the man did not understand. One last time we decided. It was at this point that a kind and well educate Indian man stepped in to help us. We explained to him it was ‘Mani Bhavan’, Gandhi’s Museum on Laburnum Road, Near Chapatti Beach whilst we looked at the circling on the Mumbai map. He began to relay this to the driver, much to our relief, then replied, “but you can walk from here it is only around the corner”. My heart sank as in chorus we explained it was miles away on the other side of town. He revisited the map and all became clear to him. More Hindi was exchanged and the journey was set finally and was to be on the meter. We got in. Well “the proof is in the pudding” flashed across my mind as we joined the crazy horn beeping road. 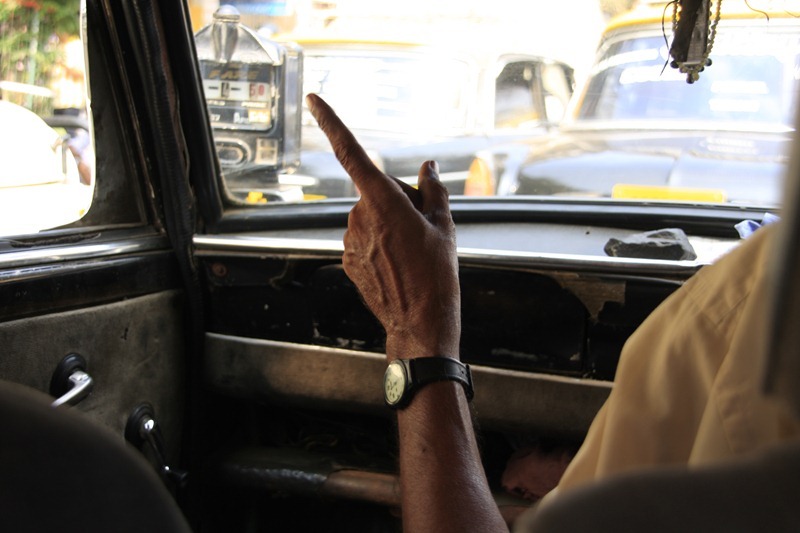 I had retained an uneasy feeling about the driver not really knowing where we were going and so kept an eye on the map. Immediately he took an unexpected turn, but it was not in the opposite direction, so I put it down to experience of the roads and traffic flow. We continued on, further and further north. I lost the road names in the Indian script as we drove over flyovers northwards. I recognised the road from our visit to see Lulu and Anaheeta at Landor the previous day. Alarm bells were ringing loudly now. I knew this was wrong. I asked the driver “where are we?” he could not reply in any words I could understand. Annoyance then crept in. Taxi drivers taking on a fares when they don’t know where they are going has always been my ‘pet hate’. Especially from the nights of taking pre-booked taxis home from work in London only to find myself sitting on the hard shoulder map reading for the driver at 1am. Going past a railway station was the confirmation I was looking for. “This is not the right direction, we should be near Chapatti Beach” I said. He pulled to the side of the road and got out for further assistance. We got out too. Our second Samaritan appeared in the form of a middle aged man from Goa. I asked him where we were on the map, he confirmed we were indeed in the location I had feared. 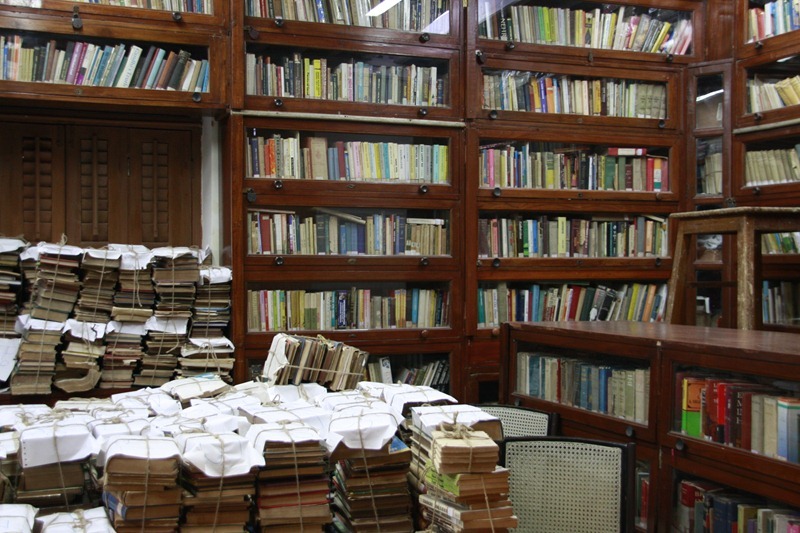 After a flood of Hindi, I voiced our concern and the translation and negotiation began. “We have been taken in completely the wrong direction and we are not happy to pay for this deviation as we have already gone further than the entire trip should have been”. Hindi again. 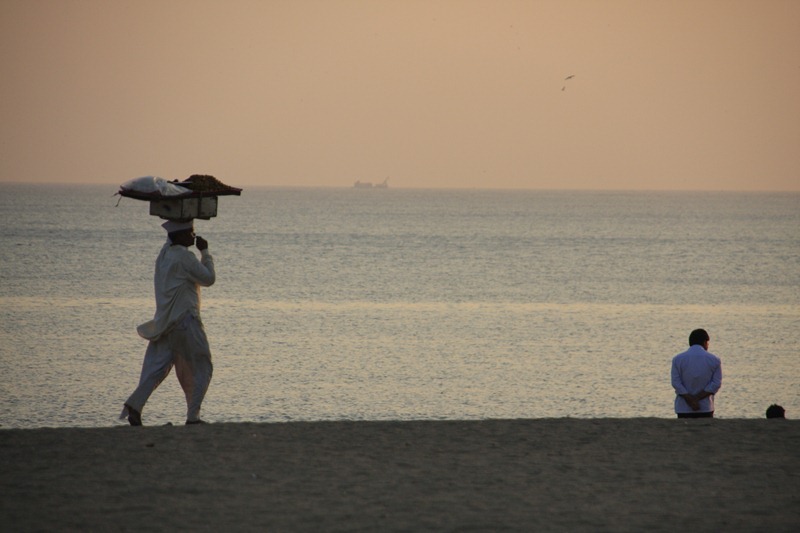 “You must make allowances as he does not speak English the Goan man replied. 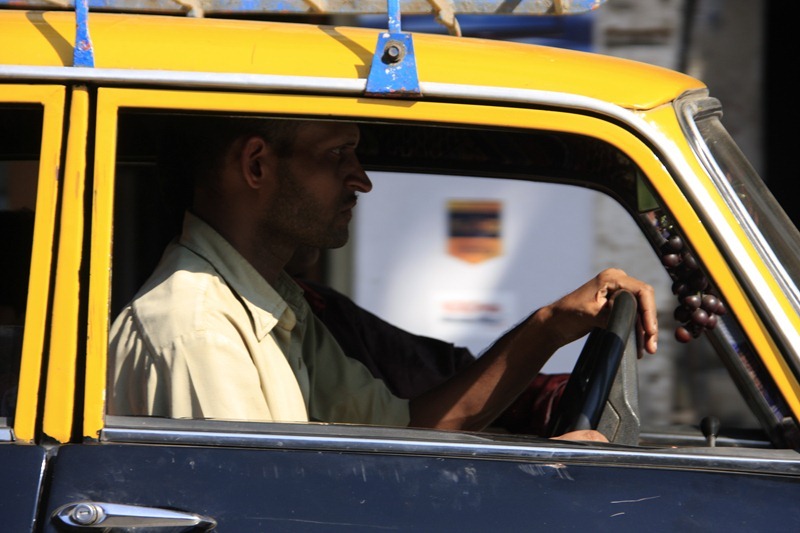 “Yes, however the location we required was explained to him in Hindi” This changed man’s his view of the situation slightly, but he still favoured the plight of the driver somewhat over ours. How much is the taxi fare so far I requested “60 Rs” was the reply. Well I began to bargain “We will pay him the 60 Rs and then we should be taken to the Museum for no extra cost, or we will find another taxi”. This seemed fair, we would be paying more than the trip should have cost anyway. The Goan man stepped aside after all our cards were on the table and wished us well. The driver continued to negotiate that we should pay half the rest of the journey. We were not going to play his games. It is a simple trick to take unsuspecting tourists in the wrong direction and get them to pay for the extra mileage. We stayed for a few minutes to try and reach an agreement, but without a translator communication was limited. We offered him the deal again, nothing and so we walked away. Slightly fearful for stories Arabella had told me in the past about Indian police being called to such situations and let’s face it they are all over this city at the moment, I prayed we were free. No one followed us thankfully, partly due to J’s size I think! We waved through the smaller side roads, but with the same volumes of traffic of the highway. Time ticked on and we got to the beach road quite drained. Our fare was “54 Rs” was gave 60 Rs and happily drove straight into the nearest cafe for a cold drink. 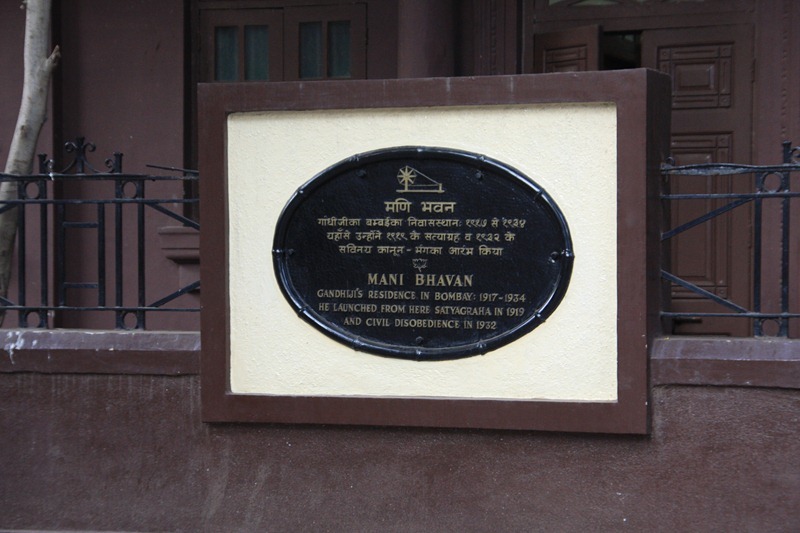 Mani Bhavan was about 15 minutes walk from the beach front. We walked confidently into the maze of roads, many without street names at the corner. After asking a handful of people and going slightly too far on one road we were flaking, but determined this pilgrimage would be successful. Taking another turn we were finally greeted with the Laburnum Road sign as a helpful local man pointed to the museum down the road from his car. We had made it there. Thankfully the museum was open as we joined the many visitors inside. I couldn’t help wondering what all the other tourists had said to their taxi drivers to arrive looking so unflustered! 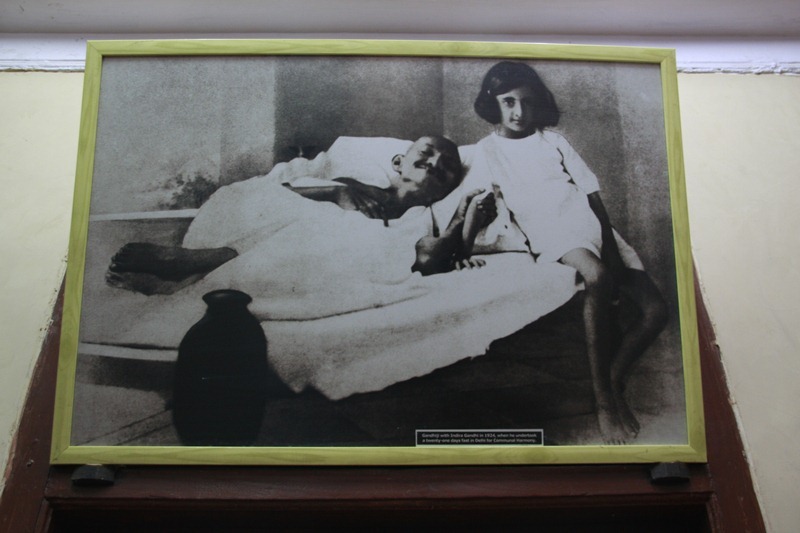 The frustration of our 1.5hr journey immediately melted away and I was humbled upon seeing the first image of Gandhi, knowing the immeasurable endurance he displayed during in his lifetime. 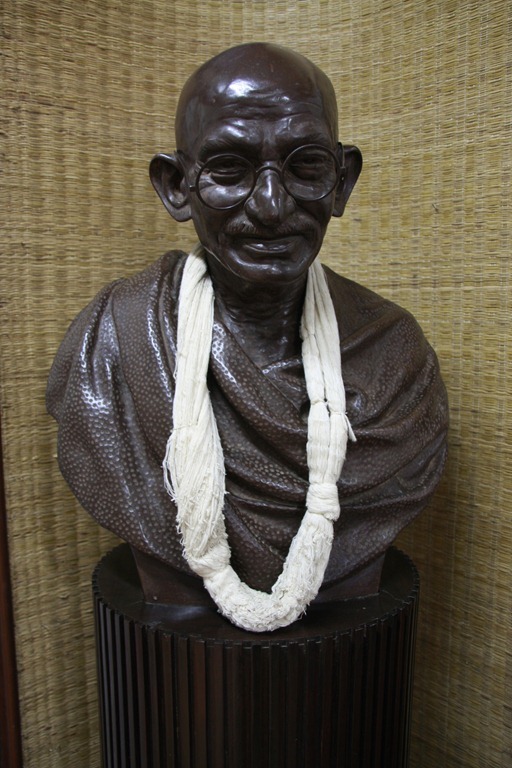 This museum follows the structure of many of the other Gandhi Museums that dot the country. There is a very high class version in Delhi and if you only have time to visit one that is where you should head towards. This example is actually the house of a close friend that he used when in the city. 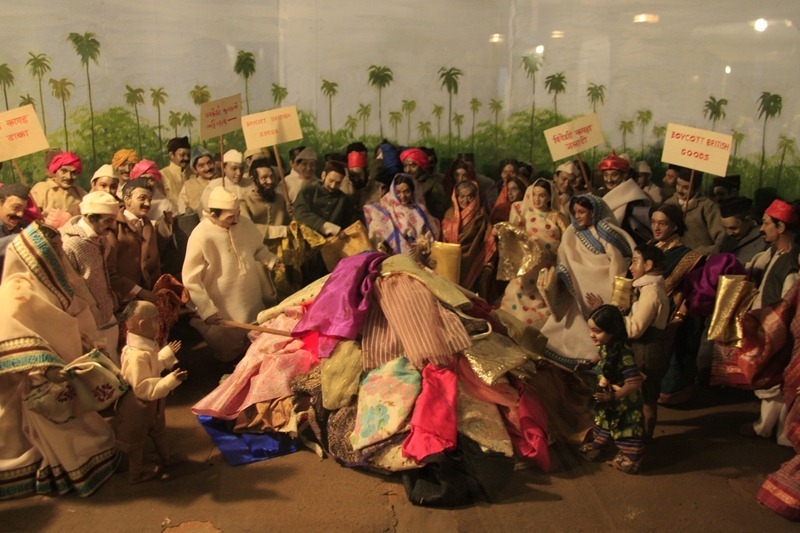 Upstairs is a collection of dioramas that show the life of Gandhi and how me came to be so famous and be named “Mahatma”, which means “Great Soul”. He was a tireless worker, a great thinker and one of the best men who ever lived. 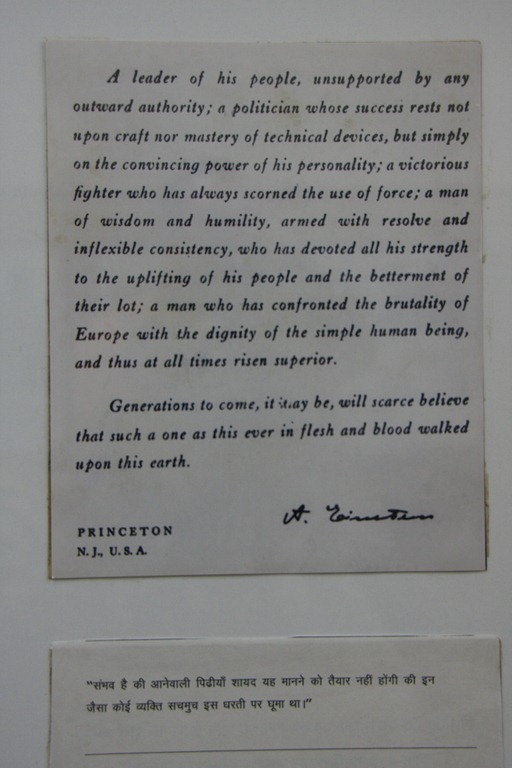 To glimpse into the world of a man so strong is a privilege I recommend most heartily. 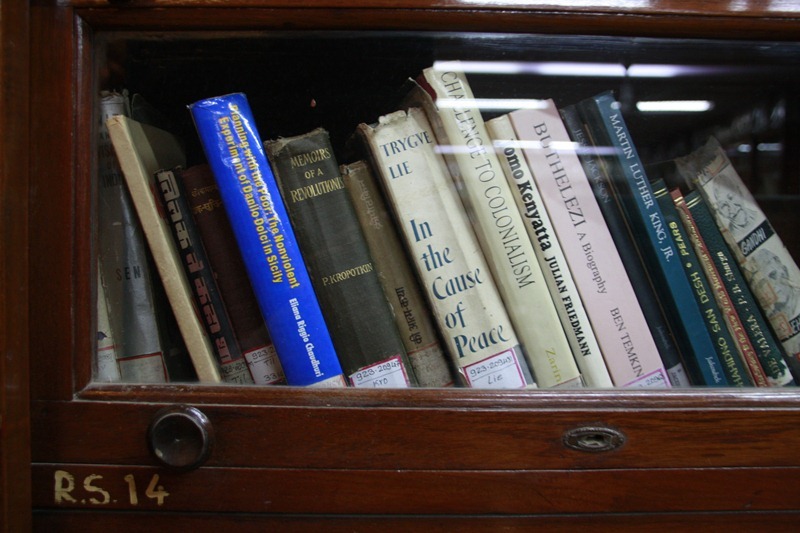 While here J bought Gandhi’s book, which is on sale for about £5.